​​Newcastle United face Crystal Palace at St James' Park on Saturday, as both sides look to edge closer towards Premier League safety. ​Palace also lost 2-0 last time out in what was the first competitive match at the new Tottenham Hotspur Stadium and the Eagles travel north in search of their first win on Tyneside in over 20 years. ​Newcastle midfielder Isaac Hayden reportedly played through the pain of a hip injury against ​Arsenal and was substituted with 20 minutes to play. Although manager Rafael Benitez confirmed that it is 'not very serious', Hayden remains a doubt for Saturday which could free up a spot in midfield. ​Crystal Palace manager Roy Hodgson has a fully fit squad to choose from, with Andros Townsend overcoming a hand injury to feature in Wednesday's defeat to Spurs. 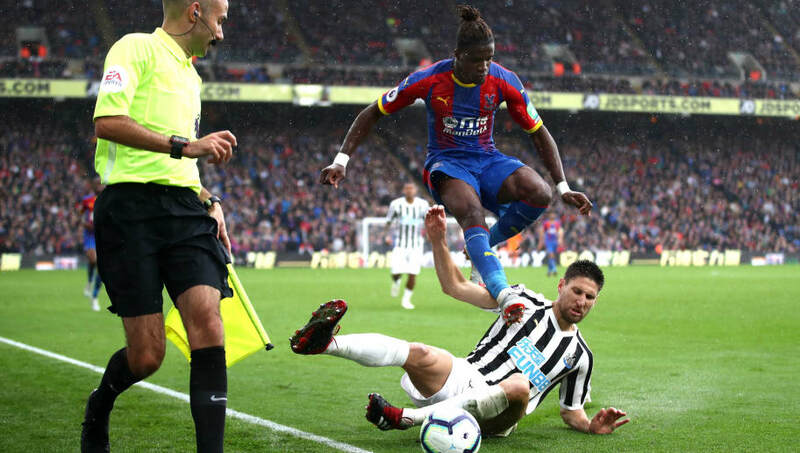 Palace fans have to go all the way back to 1998 for their last victory at St James' Park and back to 2014 for their last point - ​Wilfried Zaha's 90th minute goal rescuing a point for Palace in a six-goal thriller. Newcastle's recent form is a real mixed bag, winning just one game in March after recording back-to-back victories at the end of February, but the Toon Army have made St James' Park a fortress of late - winning five league games on the bounce including a memorable victory over ​Manchester City. Meanwhile, Palace have managed just two wins from their last six matches in all competitions, against the now-relegated ​Huddersfield Town and 17th-placed ​Burnley.